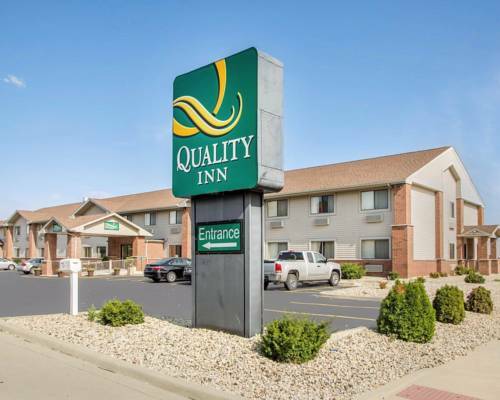 Get more for your money at the Quality Inn hotel in Ottawa, IL near the Reddick Library. Nearby attractions include Starved Rock State Park, Deer Park Country Club, Buffalo Rock, Peru Mall and Illinois Valley Community College. Enjoy amenities like free continental breakfast, free WiFi, guest laundry facilities and copy and fax services. Rooms include a flat-screen TV, refrigerator, microwave, coffee maker, iron and ironing board. Also, earn rewards including free nights and gift cards with our Choice Privileges Rewards program. Yup, a model train transports a burger and fries straight to your placemat. A children's attraction with an ax-wielding Muffler Man lumberjack and a humongous cow.